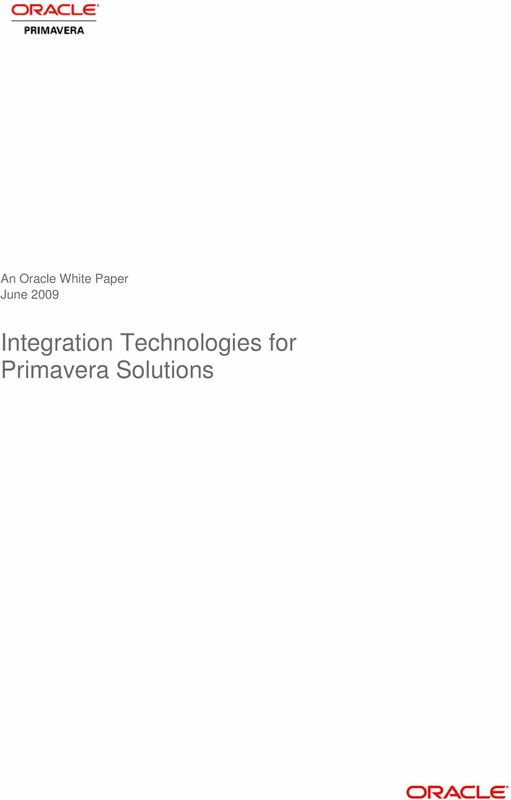 Download "An Oracle White Paper June 2009. 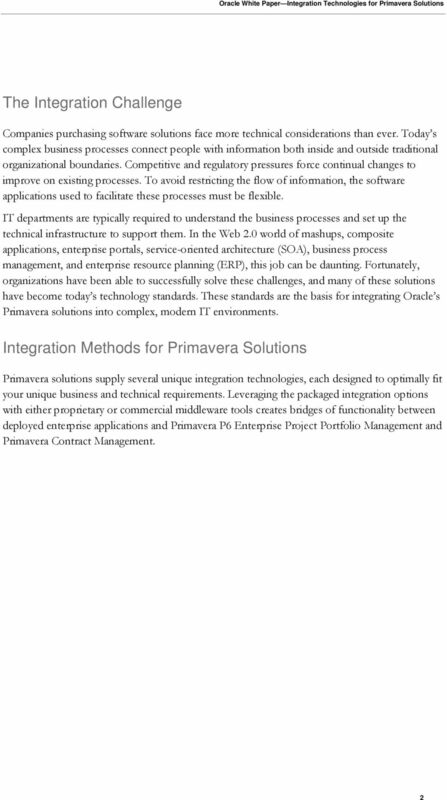 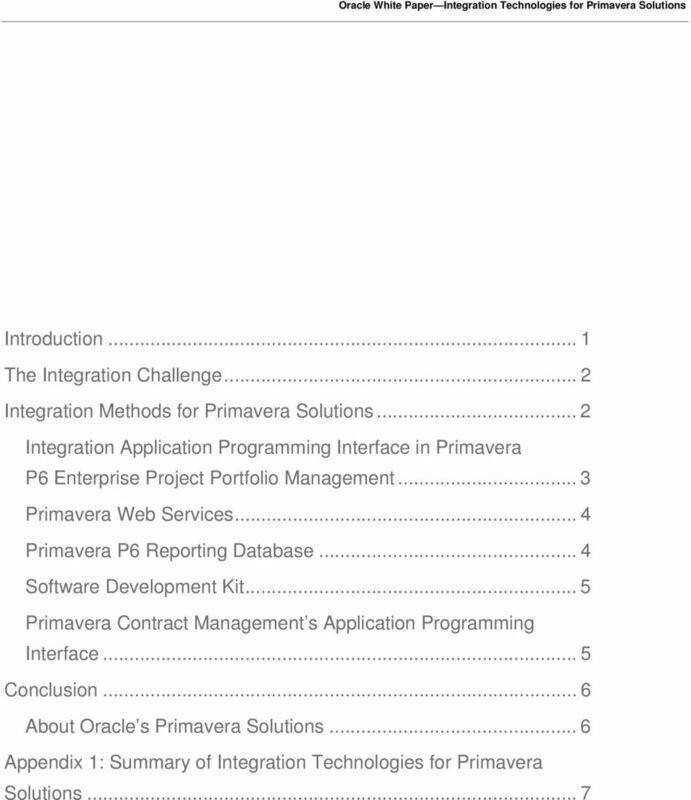 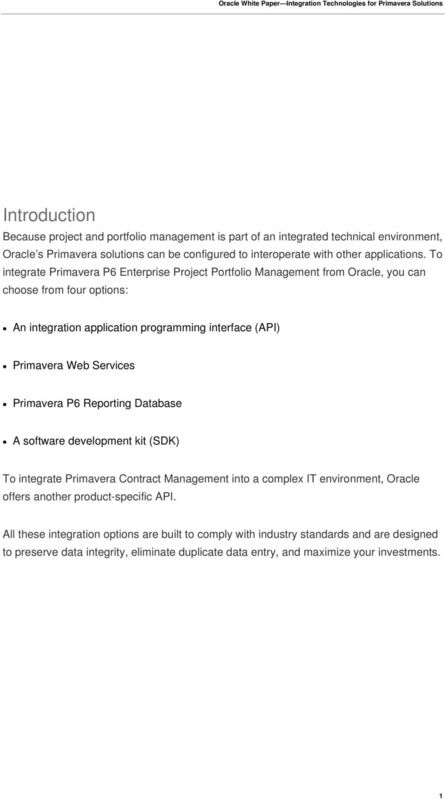 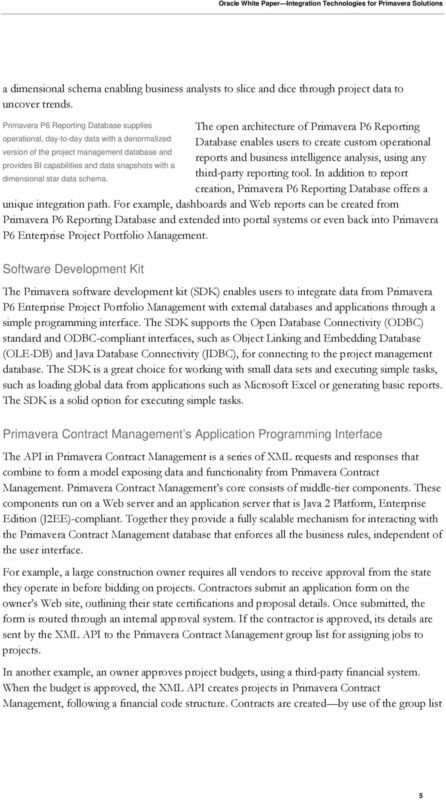 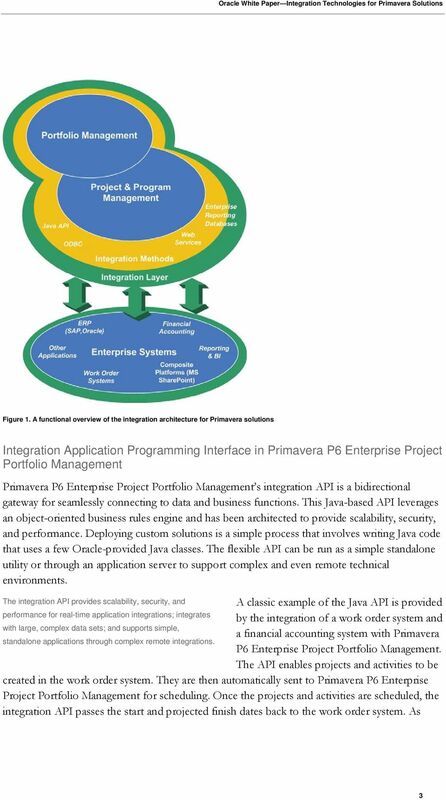 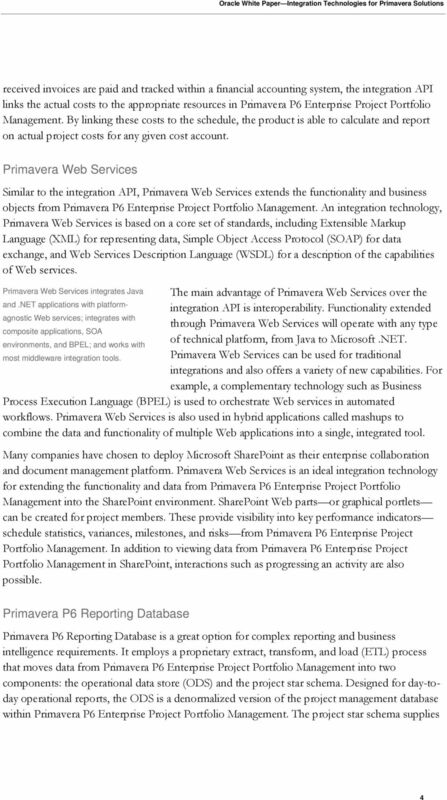 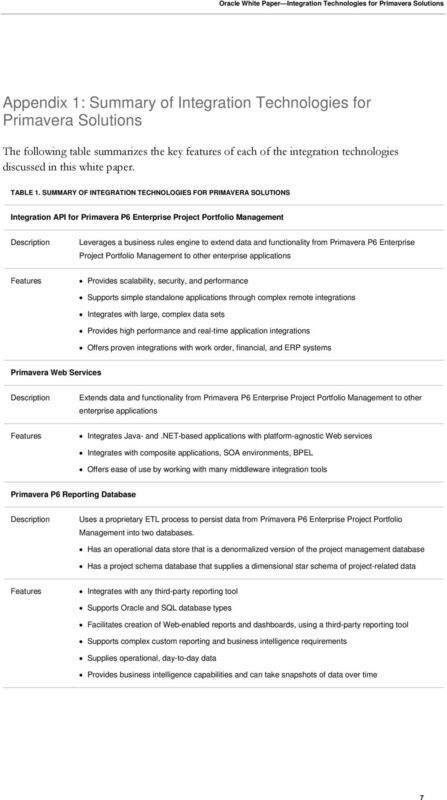 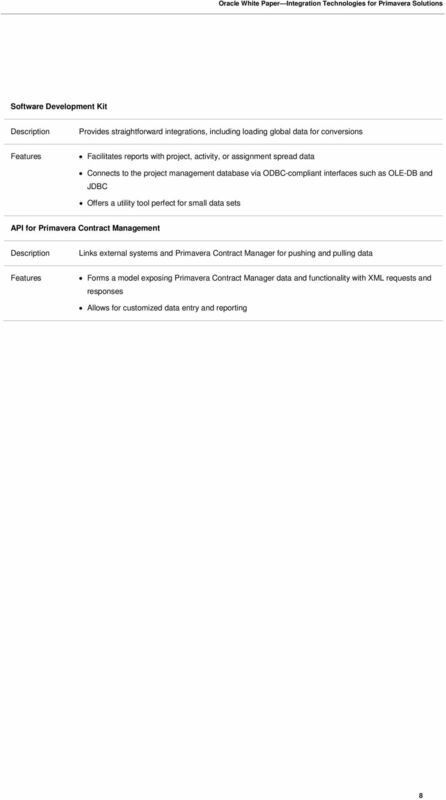 Integration Technologies for Primavera Solutions"
Oracle Primavera P6 Enterprise Project Portfolio Management Performance and Sizing Guide An Oracle White Paper October 2010 Disclaimer The following is intended to outline our general product direction. 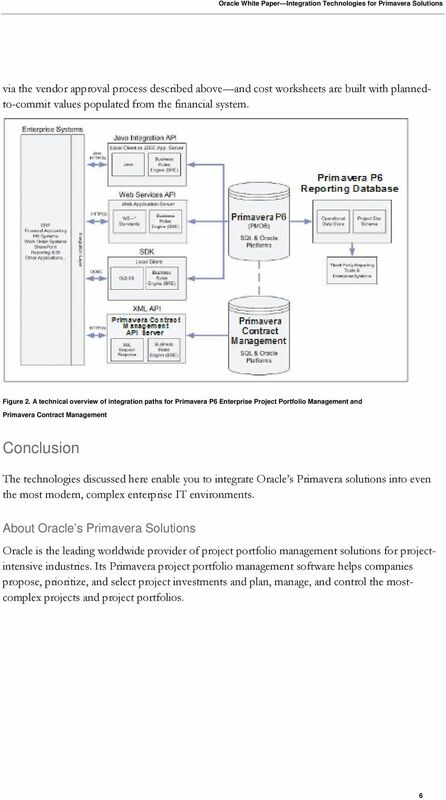 SOA Governance: What s Required To Govern And Manage A Service-Oriented Architecture An Oracle White Paper October 2006 SOA Governance: What s Required to Govern and Manage a Service-Oriented Architecture.